I am obsessed with all things Victoriana. Attracted to the intricately romantic, gentle, and rich imagery of the period, I even find the flare of morbidity, so prominat in the artifacts of the Victorian era, appealing. And I am fascinated by the incorporation of all these styles into the current apocalyptic art of Steampunk. So when I discovered The Victorian Flower Oracle, by Magic Realist Press — a deck of 40 charming cards based on the illustrations from JJ Grandville’s bestseller, les Fleurs Animees — there was no doubt in my mind about ordering it. Even if it meant converting funds via PayPal, paying Czech Republic’s shipping charges, and impatiently waiting for over a week for the little treasure to arrive to Illinois. 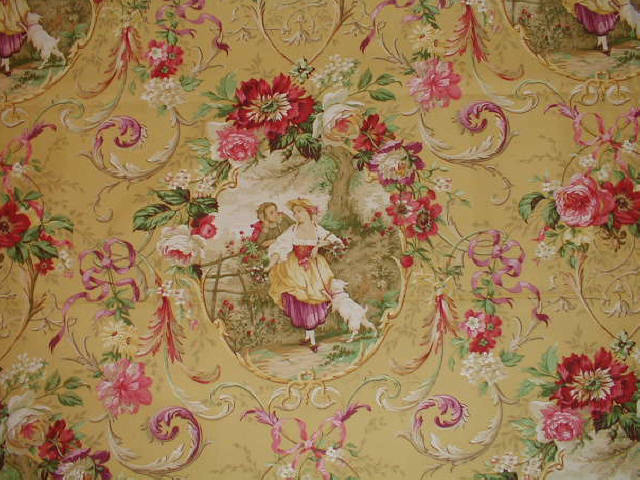 One of the trademarks of the Victorian era is a floral pattern. 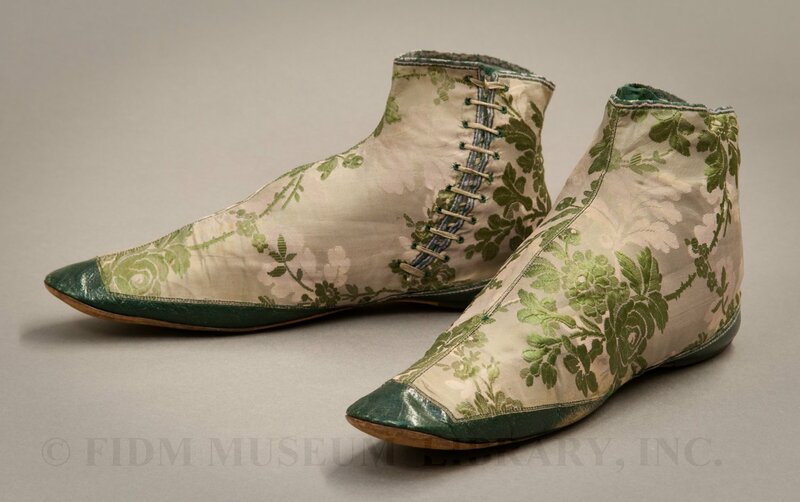 From clothing to porcelain to books, flowers were weaved into the fabric of absolutely everything. As the ugliness of industrialization swept across Europe’s face like a thick veil of smog, Flowers’ fresh and often exotic charm became not just a sought after commodity of the middle and upper classes, but it was suddenly connected to oracular mystery. Each flower held within its gentle self a message. 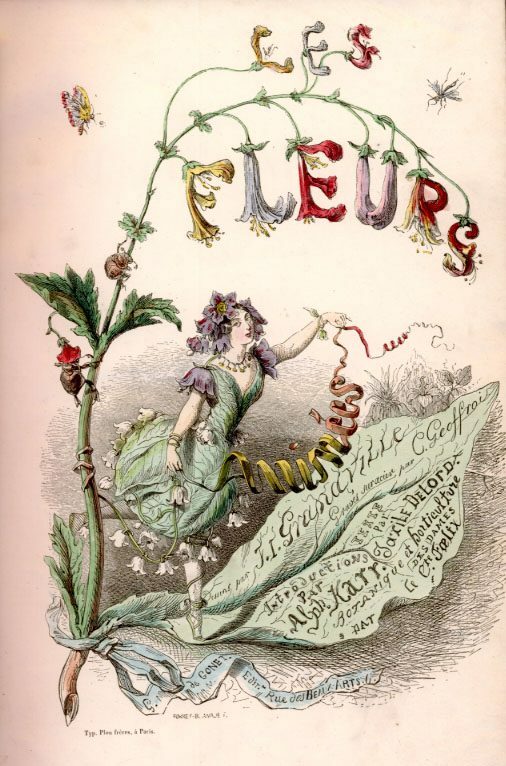 The Victorians attributed complex definitions to flowers. These were deciphered using Florigraphy — a language by which flowers are assigned different meanings. True intentions of a gentleman caller, for instance, could be read through the bouquet of flowers he presented to a lady. Suddenly a rose wasn’t just a rose. Red roses would speak of true love, for example. Yellow ones, on the other hand, signified friendship at best. At worst it could foretell of jealousy and betrayal. Even the the direction of leaves, buds, and thorns was of significance. 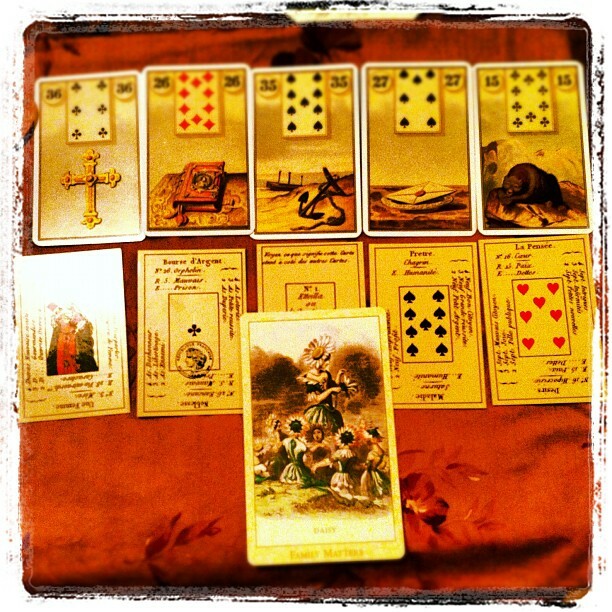 Mlle Lenormand, a seer par excellence of the Victorian era and my personal role model, wasn’t a stranger to Florigraphy. In fact, several sources state that the famous sybil regularly inquired of a client’s favorite flower, incorporating the meaning into a final prediction. 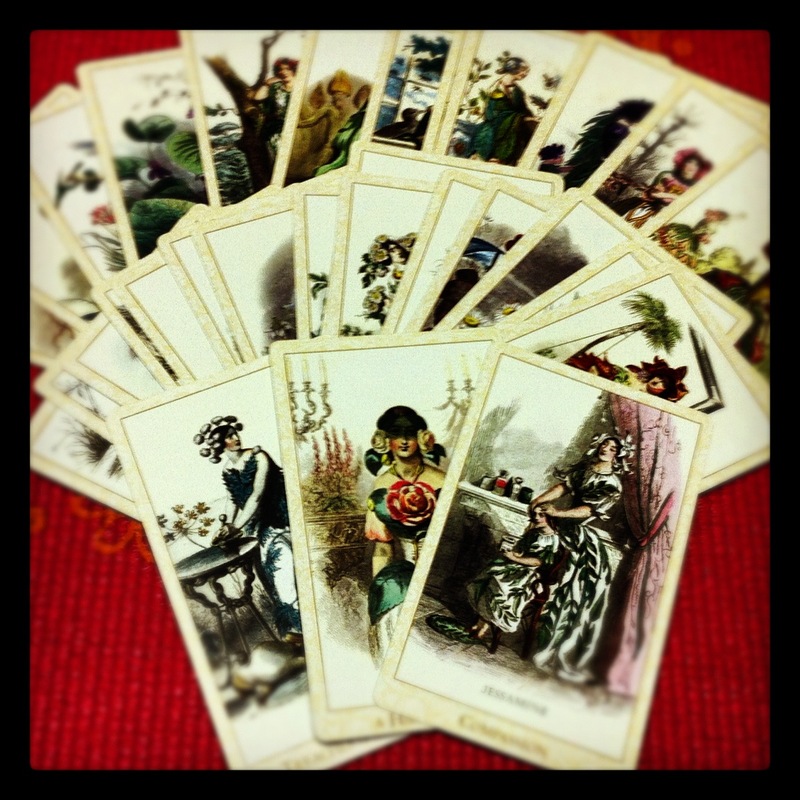 Both, Grimaud’s Grand jeu of Mlle Lenormand, and Small Lenormand decks are illustrated, among other things, with flowers that are central to the interpretation of each fortune. 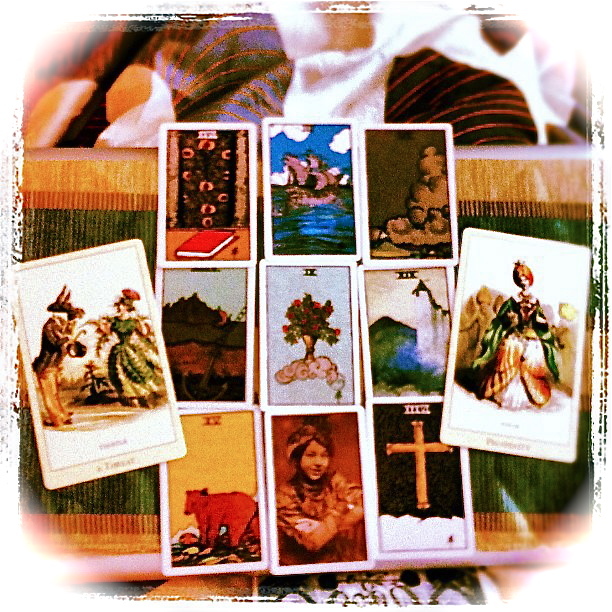 Interestingly, published in 2000, an unorthodox German Lenormand deck, The Flower Oracle Set, was also illustrated with exactly the same images from les Fleurs Animees. 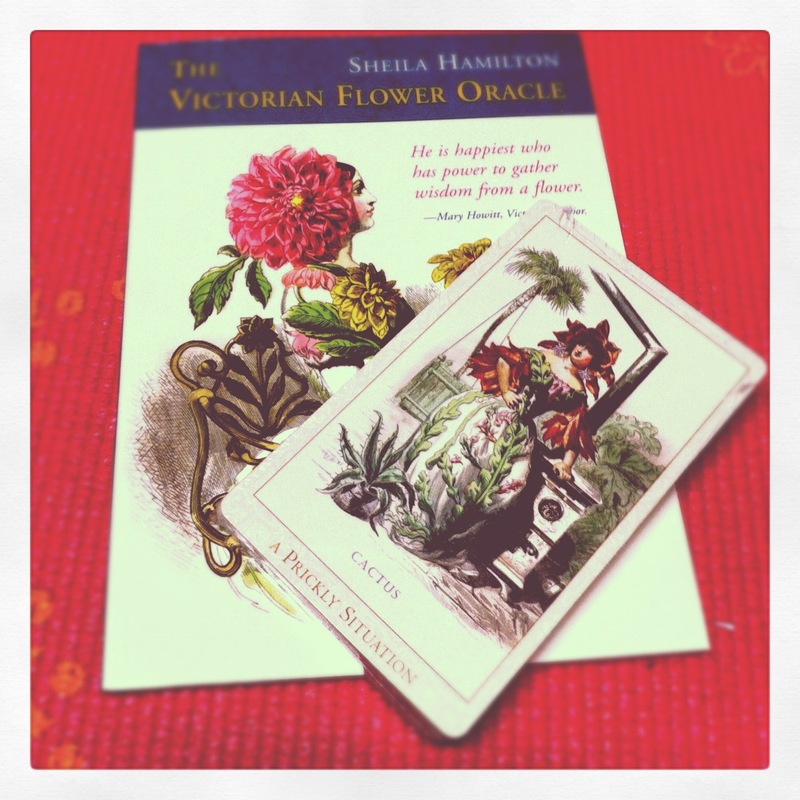 I ordered the kit version of The Victorian Flower Oracle; which, in addition to the pack of cards contains a delightfully informative book by Sheila Hamilton. The cards measure 3×5 inches. Compared to the common edition of The Victorian Romantic Tarot — another Magic Realist Press exquisity I happen to own — both decks are exactly the same size, and are printed on the same, thin, matte card stock. Each card contains a flower’s common name, a keyword, and a vignette illustrating a female that personifies the flower’s essence. Sometimes a card depicts more than one female; alongside bugs, animals, and even a few males. For instance, the card of the Daisy depicts a tall and gentle white bloom surrounded by a circle of smaller flowers of the same family. The caption of the card states: “Family Matters”. The backs of the cards have intricate golden-leaf designs, with the words magical realist press engraved onto flowing ribbons. I find the backs as appealing as the cards’ faces, and take pleasure looking at them while taking my time to shuffle the cards. All in all, I think that The Victorian Flower Oracle is a delightful addition to any card collection, but might be especially valuable to the Victoriana buffs amongst us.